Why build a wifi controlled robot project? Wi-Fi has become an intergral part of our lives today and there are number of devices which we control through Wi-Fi. In this course, you will learn how Wifi works and how to use it to control a robot. You will build a robot that you can control from your laptop using wifi. This is a super cool way to learn wireless communication and robotics! In this course, you will learn to build a Wi-Fi Controlled Robot that can be operated remotely via a computer/ website using Wi-Fi. 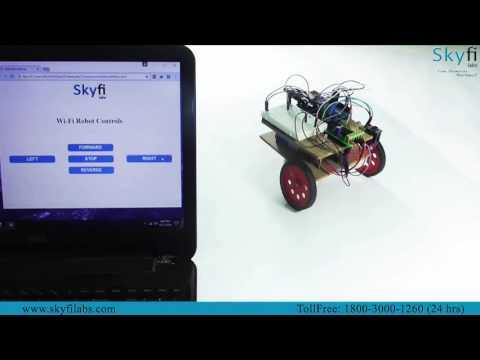 The robot is connected to the internet with the help of ESP 8266 Wi-Fi module and can be controlled through commands on a web page that you will design. Module 1: What is a wifi controlled robot? Learn: What is a wifi controlled robot? How can you build this wifi controlled robot project? How to build a wifi controlled robot project? Login to our online learning portal will be provided instantly upon enrollment. 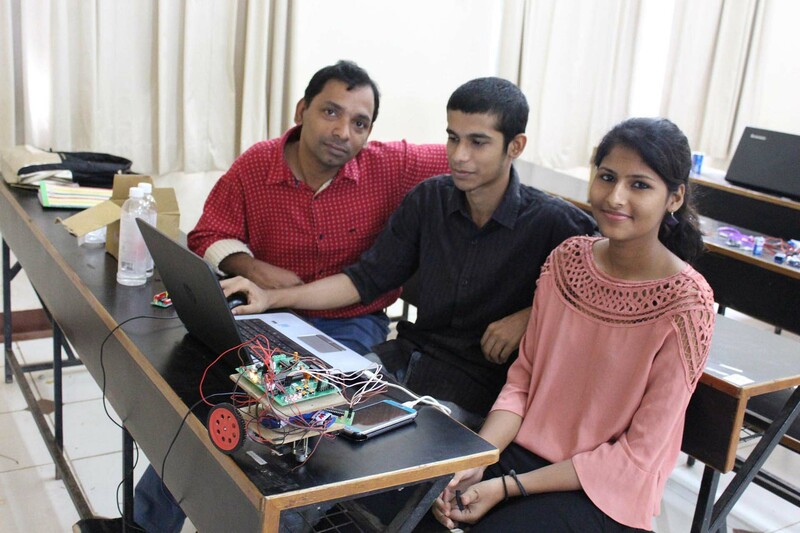 The portal will have video lectures, tutorials, and quizzes required to build the wifi controlled robot project. Kits are well tested and shipped to your doorstep in 24 Hours. Use the kit along with the online portal to complete the project at your home itself. How much time do I have to complete the wifi controlled robot project? What will be in the wifi controlled robot project kit that I will receive?